Discover why Split in Croatia ranked #90 in our countdown of ‘100 Most Incredible Cities in the World’. Lying on the Adriatic Coast in central Dalmatia, Split is the main departure point for sailing adventures to Croatia’s islands. Its waterfront promenade, Old Riva, is a brilliant mix of charming old architecture and chic modern design. 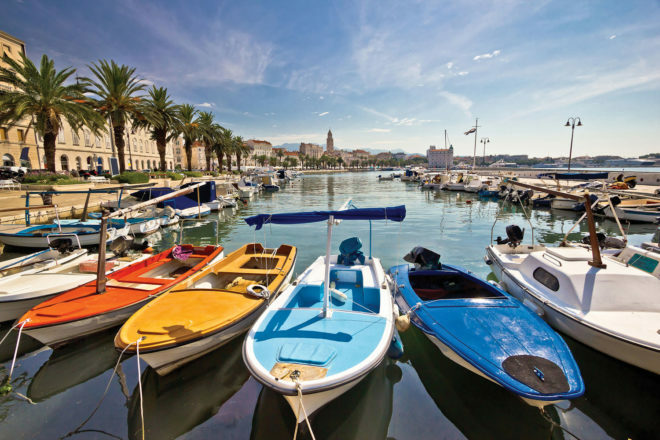 Split is the second largest city in Croatia and a beautiful one at that, surrounded by mountains and turquoise waters. The ancient city is also home to the UNESCO World Heritage-listed Roman ruins of Diocletian’s Palace, which is now filled with cafes, restaurants and shops.